New York rapper Nas is all about Throwback Thursday. The hip-hop stud has celebrated the weekly trend with a vintage childhood pic. 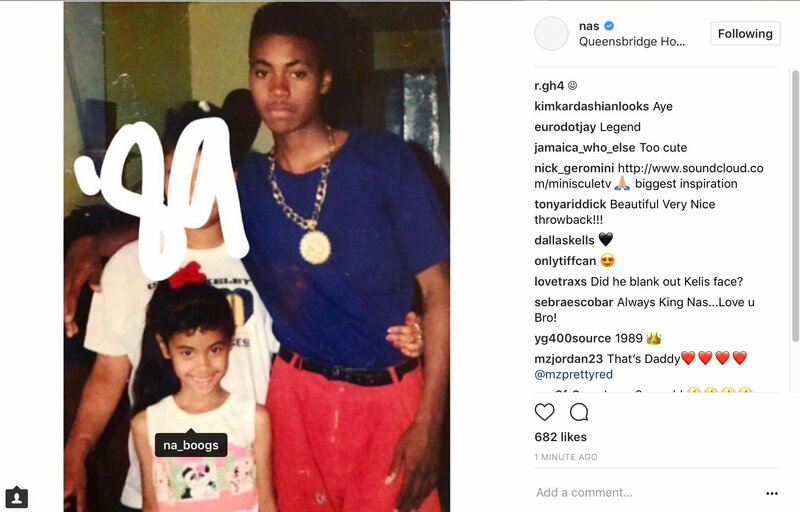 Nasty Nas went to Instagram Thursday (October 12) with a shot from 1989. This week, Nas shared a vintage pic of himself and late rap icon Notorious B.I.G. Earlier in the week, Nas caved in and commented on a never-before-seen pic of himself and late rap mogul 2Pac. The same day, the eye-opening new pic landed online and shook up social media. Next ArticleT.I.’s Iced Out Hustle Gang Chains, India Love’s Juiciest Pics – Ever, R. Kelly Gets His Cigar Yanked?